Currently ~3000 papers are published each day in the biosciences**. Navigating this sea of information to find articles relevant to your work is no small matter. Researchers can either sink or swim with the aid of (i) machine-based technologies based on search or text-mining tools or (ii) human-based technologies like blogs or social networking services that highlight relevant work through expert recommendation. One of the first expert recommendation services was Faculty of 1000, a service launched in 2002 with the aim of “identifying and evaluating the most significant articles from biomedical research publications” though a peer-nominated “Faculty” of experts in various subject domains. Since the launch of F1000, several other mechanisms for expert literature recommendation have also come to the foreground, including academic social bookmarking tools like citeulike or Mendeley, the rise of Research Blogging, and new F1000-like services such as annotatr, The Third Reviewer PaperCritic and TiNYARM. Since then, I’ve tried to contribute to F1000 when I can [PAYWALL], but since it is not a core part of my job, I’ve only contributed ~15 reviews in 5 years. My philosophy has been only to contribute reviews on articles I think are of particular note and might be missed otherwise, not to review major papers in Nature/Science that everyone is already aware of. As time has progressed and it has become harder to commit time to non-essential tasks, I’ve contributed less and less, and the F1000 staff has pestered me frequently with reminders and phone calls to submit reviews. At times the pestering has been so severe that I have considered resigning just to get them off my back. And I’ve noticed that some colleagues I have a lot of respect for have also resigned from F1000, which made me wonder if they were likewise fed up with F1000’s nagging. I even posted a “dissent” regarding one of [Paul Hebert’s] earlier papers on Faculty of 1000 (which I used to contribute to before they become non open access). Thus I’ve come to realize that is unjustified to contribute secondary commentary to F1000 on Open Access grounds, in the same way it is unjustified to submit primary papers to closed-access journals. If I really support Open Access publishing, then to contribute to F1000 I must either must either be a hypocrite or make an artificial distinction between the primary and secondary literature. But this gets to the crux of the matter: to the extent that recommendation services like F1000 are crucial for researchers to make sense of the onslaught of published data, then surely these critical reviews should be Open for all, just as the primary literature should be. On the other hand, if such services are not crucial, why am I giving away my IP for free to a company to capitalize on? Well, this question has been on my mind for a while and I have looked into whether there might be evidence that F1000 evaluations have a real scientific worth in terms of highlighting good publications that might provide a reason to keep contributing to the system. On this point the evidence is scant and mixed. An analysis by the Wellcome Trust finds a very weak correlation between F1000 evaluations and the evaluations of an internal panel of experts (driven almost entirely by a few clearly outstanding papers), with the majority of highly cited papers being missed by F1000 reviewers. 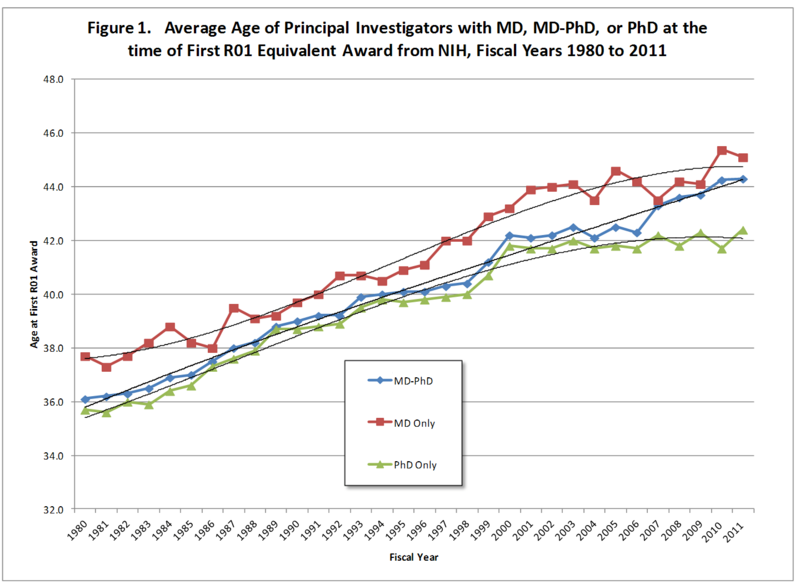 An analysis by the MRC shows a ~2-fold increase in the median number of citations (from 2 to 4) for F1000 reviewed articles relative to other MRC-funded research. Likewise, an analysis of the Ecology literature shows similar trends, with marginally higher citation rates for F1000 reviewed work, but with many high impact papers being missed. [Added 28 April 2012: Moreover, multifactorial analysis by Priem et al on a range of altmetric measures of impact for 24,331 PLoS articles clearly shows that the “F1000 indicator did not have shared variability with any of the derived factors” and that “Mendeley bookmark counts correlate more closely to Web of Science citations counts than expert ratings of F1000”.] Therefore the available evidence indicates that F1000 reviews do not capture the majority of good work being published, and the work that is reviewed is only of marginally higher importance (in terms of citation) than unreviewed work. So if (i) it goes against my OA principles, (ii) there is no evidence (on average) that my opinion matters quantitatively much more than anyone else’s, and (iii) there are equivalent open access systems to use, why should I continue contributing to F1000? The only answer I can come up with is that by being a F1000 reviewer, I gain a certain prestige for being in the “in club,” as well as by some prestige-by-association for aligning myself with publications or scientists I perceive to be important. When stripped down like this, being a member of F1000 seems pretty close to being a Sneetch with a star, and that the F1000 business model is not too different than that used by Sylvester McMonkey McBean. 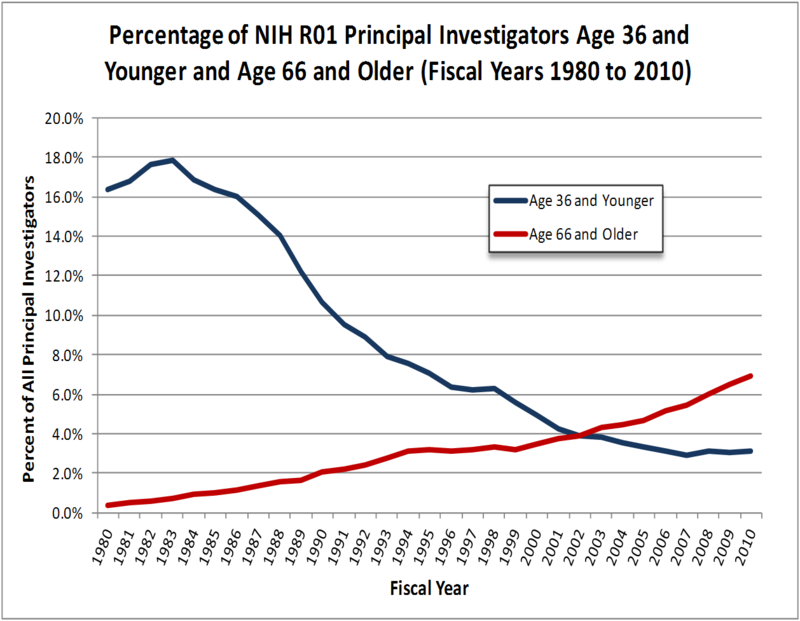 Realizing this has made me feel more than a bit ashamed for letting the allure of being in the old-boys club and my scientific ego trick me into something I cannot rationally justify. So, needless to say I have recently decided to resign from F1000. I will instead continue to contribute my tagged articles to citeulike (as I have for several years) and contribute more substantial reviews to this blog via the Research Blogging portal and push the use of other Open literature recommendation systems like PaperCritic, who have recently made their user-supplied content available under a Creative Commons license. (Thanks for listening PaperCritic!). By supporting these Open services rather than the closed F1000 system (and perhaps convincing others to do the same) I feel more at home among the ranks of the true crowd-sourced “Faculty of 1,000,000” that we need to help filter the onslaught of publications. 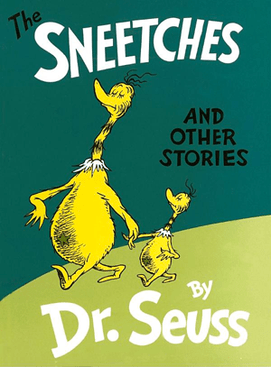 And just as Sylvester McMonkey McBean’s Star-On machine provided a disruptive technology for overturning perceptions of prestige by giving everyone a star in The Sneetches, I’m hopeful that these open-access web 2.0 systems will also do some good towards democratizing personal recommendation of the scientific literature. ** This number is an estimate based on the real figure of ~2.5K papers/day in deposited in MEDLINE, extrapolated to the large number of non-biomedical journals that are not indexed by MEDLINE. If any has better data on this, please comment below.